Best Vintage Guitars You Must Play! Like a fine wine, a well-designed vintage guitar’s image and reputation are preserved and can even get better through time. For veteran players, they would exactly know firsthand how the best vintage guitars would simply sound and feel, better than their counterparts. When players make the decision to purchase a Gibson, Martin, Fender, Guild, Kay or other names of these guitars, they would have several choices from which they can purchase, as music stores would sometimes have trade-ins or sell editions that they have just picked up. Additionally, there are also vintage musical instrument dealers and collectors that can be found in most major cities, and of course, there are online sites, such as Amazon, that offer a wide selection of these items. 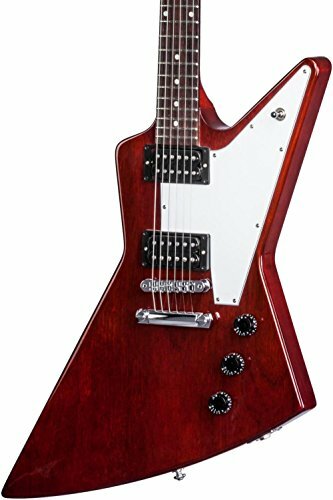 Beneath the Explorer's aggression and brute sonic force lie the subtler qualities that make a Gibson such a special guitar: superb playing comfort, extreme speed, and the confidence of utmost. Crafted in the image of the original radical Explorer body style, using select solid mahogany, and loaded with two of Gibson's fierce high-gain humbuckers and top-quality hardware. The guitar is delivered in a classic Gibson hard-shell case with a Gibson multi-tool, a premium leather strap and a polishing cloth. Initially, the creation of the Explorer was part of Gibson’s attempt to market modernistic guitars in the burgeoning “space age”, and when it hit the stores, it attracted a little attention from buyers. Orders were scarce, which means that its production numbers also stayed very low. But since Eric Clapton played one in the 1970s, collectors have become fond of its color and the sound of its body, which was made of African limba. Now, in celebrating Gibson’s 120 years of building iconic instruments of most every musical genre comes the Explorer 120. Constructed of grade-A mahogany and situated with a set of sweet-sounding BurstBucker pick-ups, this baby can give you a tone only 120 years of knowledge can put out. It body is built for sustain and “in your face” mid-range tones that will sound great coming out of any amp you plug it into. The slim profile neck is ready for all-night rocking, sporting a bound rosewood fingerboard that is primed for super-slick searing solos. You will get not only an awesome guitar with the Explorer 120, but also a piece of the manufacturer’s history. The features that make the Explorer 120 include grade-A mahogany body and neck; slim fast neck with 1-piece grade-A rosewood fingerboard; BurstBucker Rhythm Pro for its neck and Lead Pro for its bridge; crome MINI Grover kidney tuners; Tune-O-Matic bridge; stopbar tailpiece; and a hardshell case. Vintage Martin Dreadnoughts are considered the pinnacle of steel-string acoustics, and those editions that were given the Style 45 dress—Brazilian-rosewood back and sides, ivory-bound body and neck, and fancy fretboard inlays—were priced beyond the reach of all but a few Depression-era players. Simply put, they are undoubtedly among the best vintage guitars that exist on Earth. For the D-45 Dreadnought Acoutic Guitar, Martin has put more than 900 individual pieces of abalone in binding and in-laying its top, sides, back and rosette. It is adorned by large “C.F. Martin” abalone letters in its headstock, and abalone hexagon inlays are used as position markers on its bound ebony fingerboard. Due to the solid spruce top and traditional Martin bracing pattern, this lovely guitar generates fantastic tone. It features include a body type of D-14 FretCutaway; non-cutaway top wood; solid Sitka SpruceBack and sides; solid East Indian Rosewood bracing pattern; Standard X scalloped body finish; polished gloss orientation: right-handed neck shape: low-profile nut width; 1-1/16 fingerboard; black ebony neck wood; select hardwood scale length of 25.4”; 20 frets; and polished gloss neck finish. 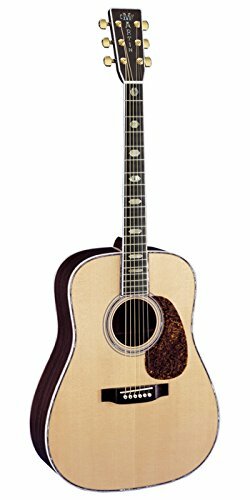 The D-45 Dreadnought includes a deluxe Martin hardshell case. Though Gibson tried to make a huge impact on the musical instrument market by giving its Les Paul model a sunburst finish and a fancy maple top, the guitar still failed to truly catch on. However, its status dramatically changed with the 1966 release of John Mayall’s Blues Breakers, which featured Eric Clapton. Then, Michael Bloomfield started playing one, influencing further top-tier guitarists of the late 1960s. 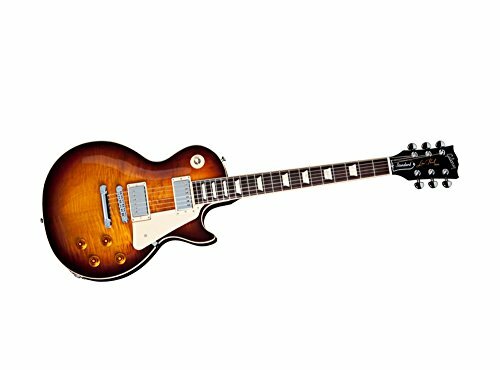 Other players who picked up a Burst afterwards include Jimmy Page, Gregg Allman, Paul Kossoff, Billy Gibbons and Jeff Beck. Today, the guitar became not only the pre-eminent collectible solid body, but some would also say it has become the reason that solid bodies became collectible. Again creating one of the best vintage guitars in the world, the manufacturer introduced the new Les Paul Standard, which has always been the cornerstone of the Gibson USA lineup, even holding the same esteemed position at the center of the 2013 Year of Les Paul celebrations. This is considered as the most versatile Les Paul Standard the manufacturer has ever created—the ultimate embodiment of Les Paul’s vision of elegance and innovation and one that truly represents a marriage of timeless tone with contemporary playability and flexibility. Key features include a superbly comfortable new asymmetrical rendition of the SlimTaper neck profile that fits the player’s hand like a glove; a compound-radius rosewood fingerboard; and stealth wiring for the great Gibson BurstBucker Pro 1 and 2 pickups, which provide individual phase reversal, coil splitting and Pure Bypass switching without changing the look of the classic control layout. Extreme elegance provided by the Flame Maple top. 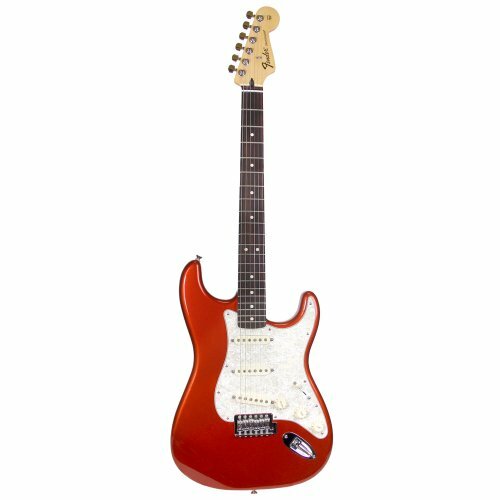 Considered as the axe that led the way for guitar-driven pop music to move to the forefront, the Fender Stratocaster was cutting-edge, with a body that was thinner and lighter, as well as an evolutionary vibrato. Available in various shades of automotive paint, which the manufacturer called “Custom Color” that added to its luster and collectability, high-profile rock-and-roll guitarists took to it. Following its predecessors that created sounds that made legends, the new Standard Stratocaster offers legendary Fender tone combined with classic styling, which includes three single-coil pickups, a synchronized tremolo with high-mass bridge block, medium jumbo frets and shielded body cavities. New features include parchment pick-guard and control knobs, a tinted neck and a 1970s-style logo. Plug one in and listen to the sound of one of the best vintage guitars you will ever find! Since the Telecaster was introduced by Fender in the early 1950s, professional guitarists in all musical genres have relied on it for its smooth playability and powerful tone. The Standard Telecaster combines the best of old and new, with shielded body cavities, hotter single-coil pick-ups, six-saddle strings-through-body bridge, medium jumbo frets, cast/sealed tuners, parchment pick-guard, tinted neck, control knobs and the 1970s-style headstock logo. With the two Standard Telecaster single-coil pickups, this guitar offers a great range of classic and contemporary tones that are perfect for blues, country, pop and rock music. It also makes string-bending a breeze with its modern C-shaped neck, 9.5” freeboard radius and medium jumbo frets. Moreover, the 6-saddle strings-thru-body bridge allows for individual string height adjustment and improved intonation. There you have it! If you are in the market now and looking for the best vintage guitars, then you can start looking at the ones listed above. These instruments still carry the quality that made their predecessors a classic.